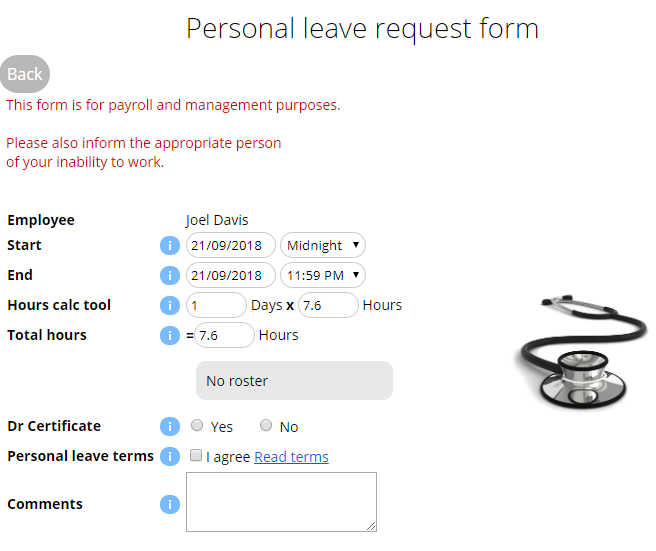 This guide will demonstrate how to request sick leave, annual leave and time off. Select the request leave button. 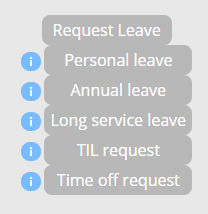 Then select the Type of leave you require. 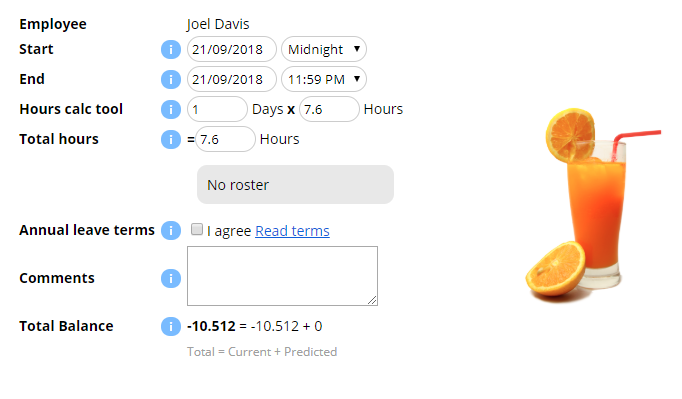 If the request is pending, it can be removed and the request status will be instantly marked as removed. If the request has been accepted, it can be removed, however, this must be reviewed by Management first, its status will be changed to pending removal, this only applies to annual leave.